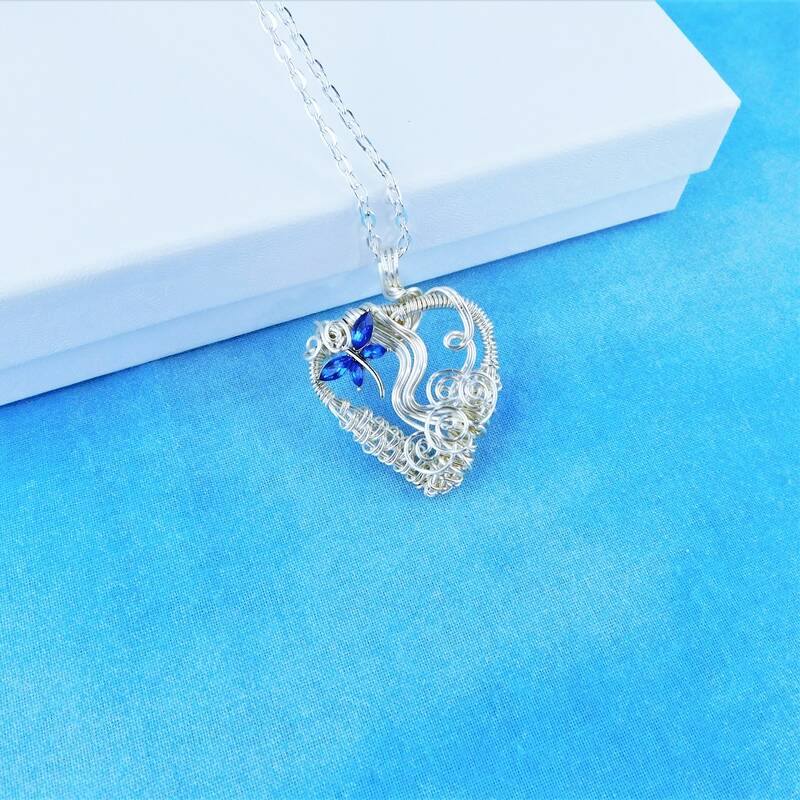 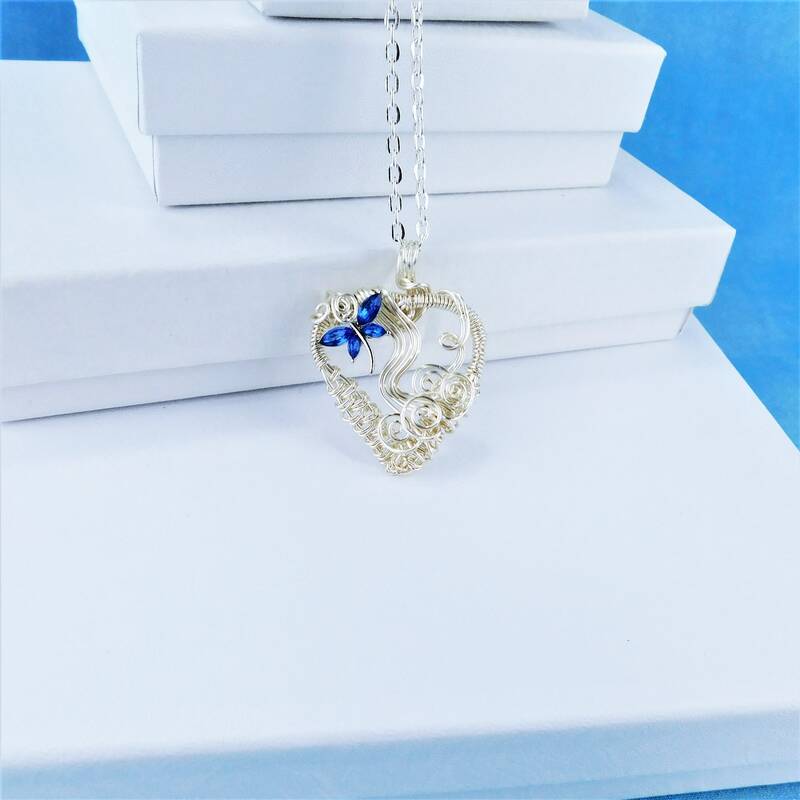 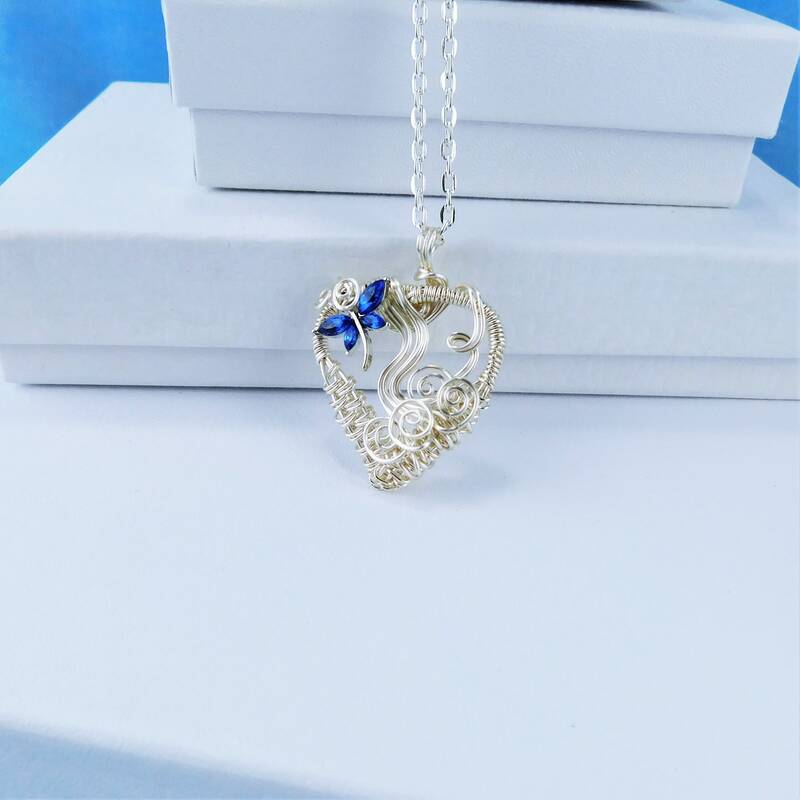 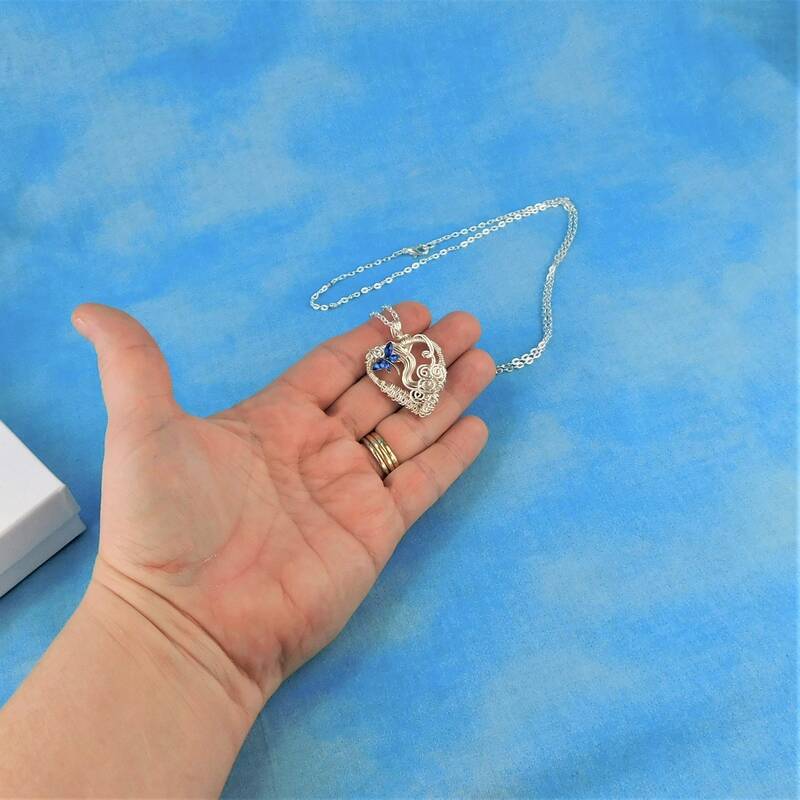 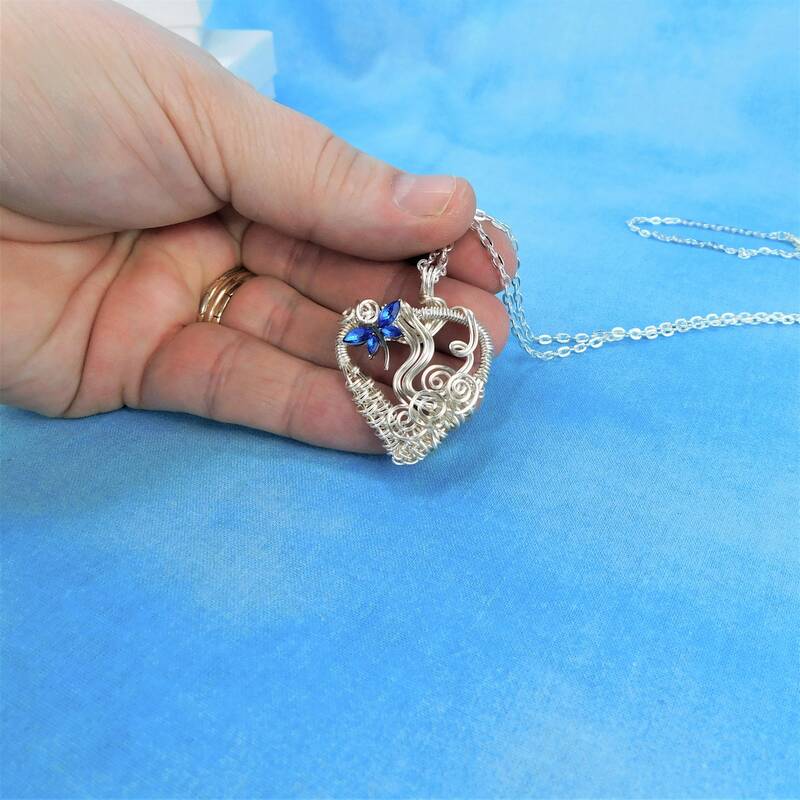 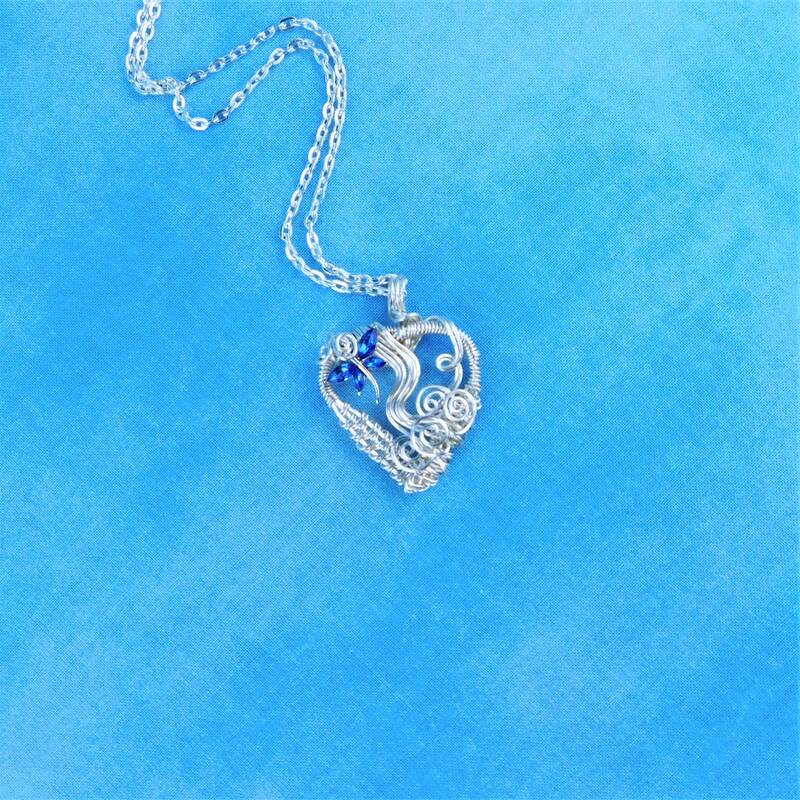 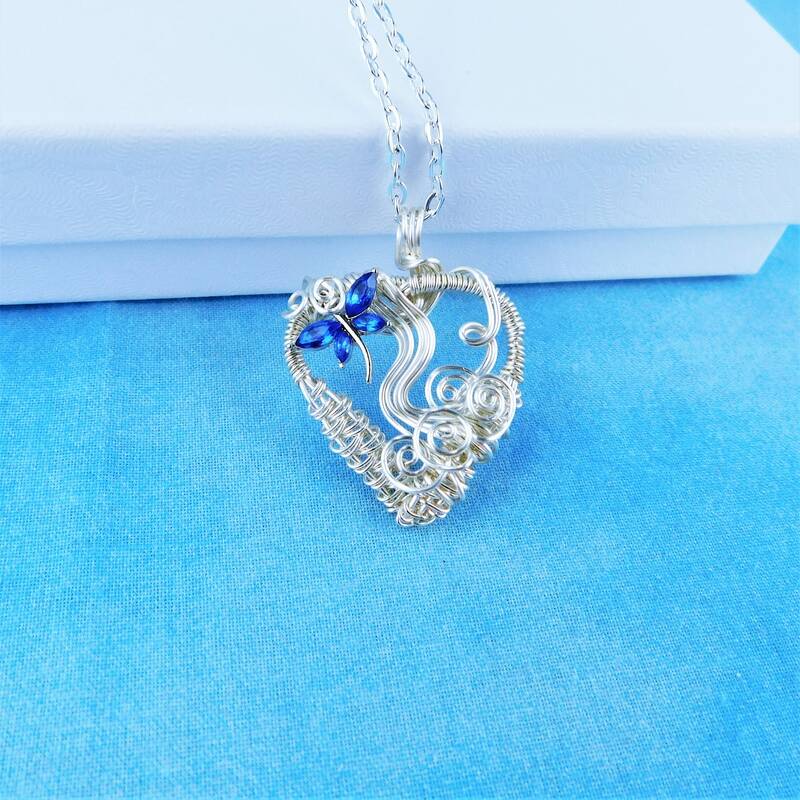 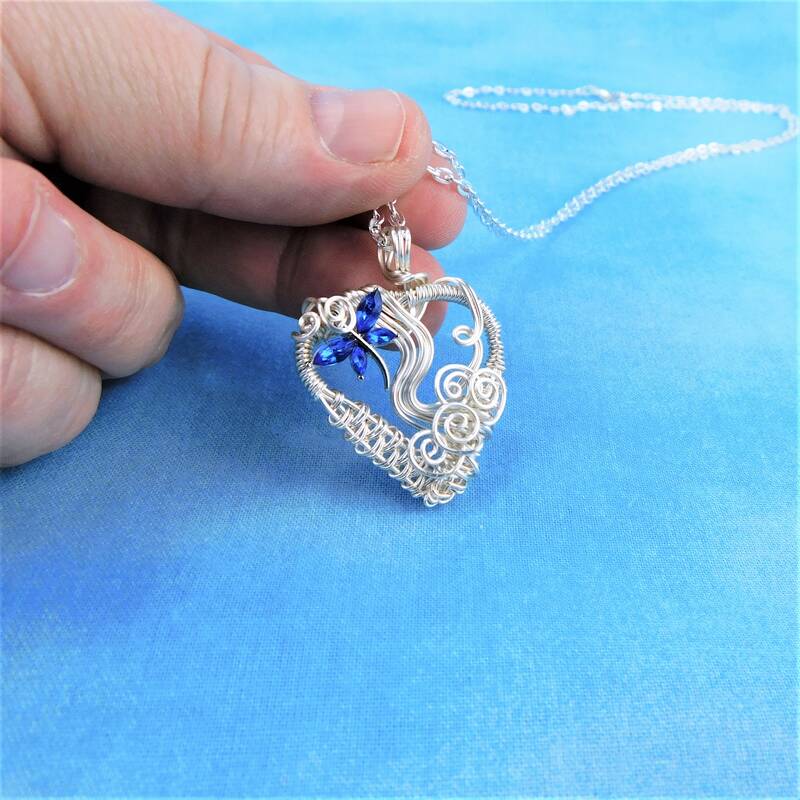 This is a hand sculpted heart shaped pendant that incorporates a dragonfly with blue crystal wings. 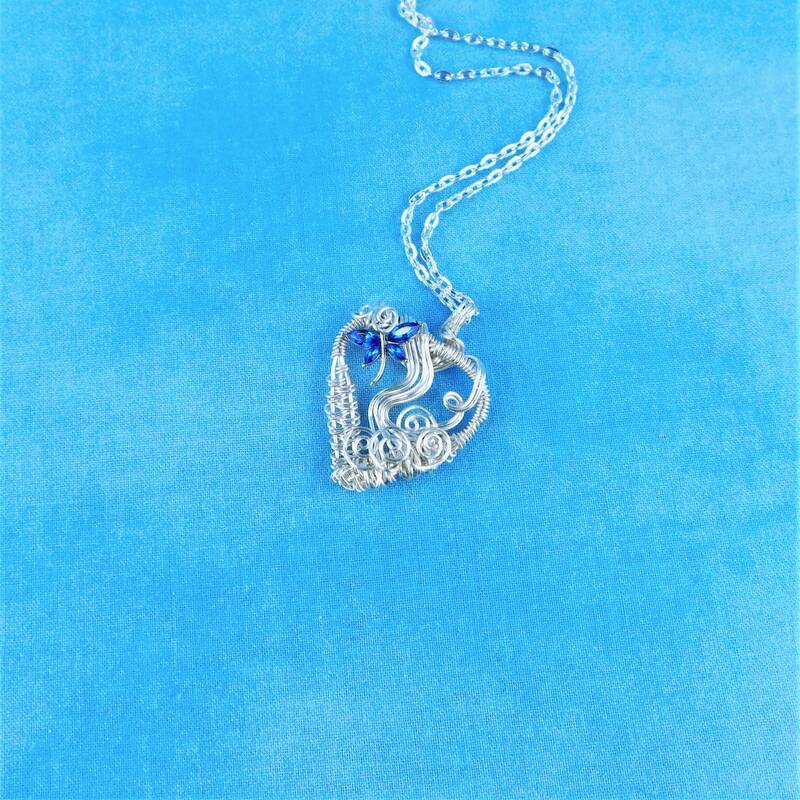 The frame is meticulously woven and sculpted using only four strands of non tarnish fine silver over copper wire, pliers and patience. 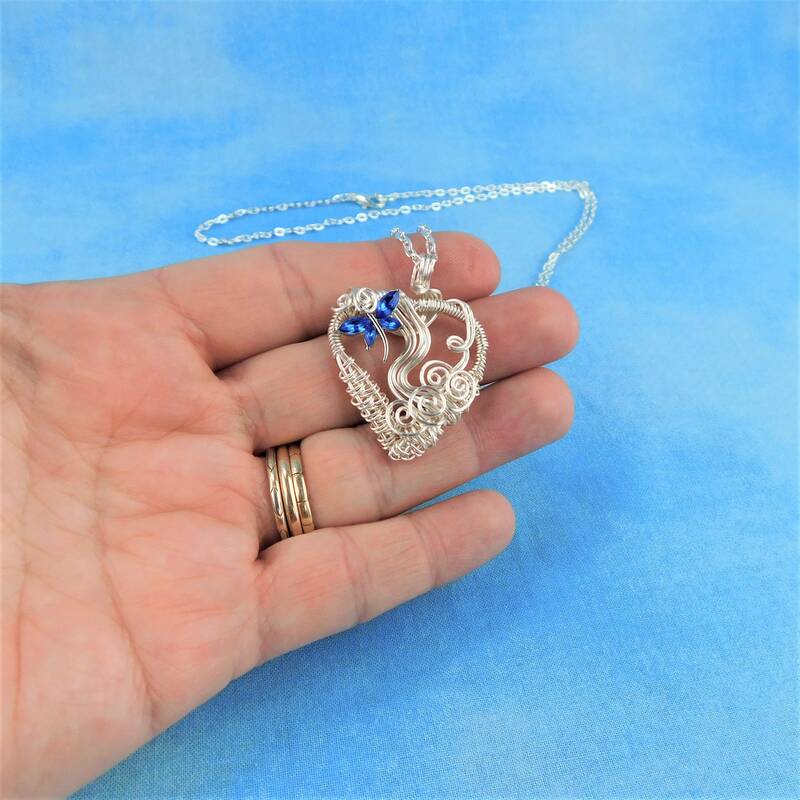 The entire pendant measures 1 1/4 inches by 1 1/4 inches and comes with a FREE coordinating chain with lobster claw clasp, measured to your preferred length.